Do We Really Need GMOs to Help Feed the Poor? “GMOs will help feed the world.” This is what we hear, in one form or another, as one of the main arguments in favor of GMO technology. It may be a good tactic, but is not a truthful one. The scientists who just won the World Food Prize have provided useful evidence that we don’t need GMOs to feed the poor. They were able to use conventional plant-breeding techniques to fortify sweet potatoes with higher levels of vitamin A.
Vitamin A deficiency is pandemic in Southeast Asia and Africa. It causes blindness, stunting, and immune suppression, making people more vulnerable to disease and death. This condition affects an estimated 140 million preschool children in developing countries, and is the leading cause of childhood blindness. 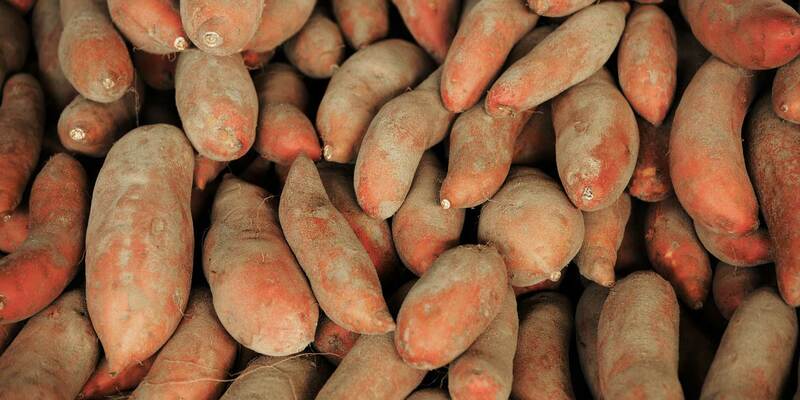 Sweet potatoes are a traditional source of vitamin A in the human diet. The new vitamin-enriched sweet potato, along with other vitamin and mineral-enriched crops (such as iron- and zinc-fortified beans, rice, and wheat), are estimated to have helped 10 million people already. Let’s compare the success of these conventionally bred crops with the track record of Golden Rice, the example often used by proponents of GMOs to help make their case. Golden Rice is white rice that has been genetically engineered to synthesize beta-carotene after the carotenoid is stripped away, which happens when natural rice is processed. Time magazine famously heralded Golden Rice as “The Rice that Could Save a Million Kids a Year” in 2000. It’s also interesting to note that almost none of the news coverage of the vitamin-enriched sweet potato mentions that it is not genetically engineered. Is this a deliberate omission in an effort to propagate the myth that we need GMOs to feed the world, or did all of these news organizations coincidentally make the same error? You decide. Glyphosate: Will the EPA Capitulate to Its Cronies?